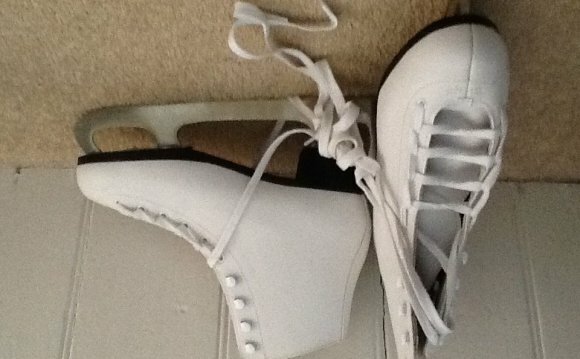 Their boots are aimed at people in cities where ice skating is a popular leisure activity, such as Toronto, New York, Montreal and Moscow. "Living in a country with such strong traditions in ice skating and hockey culture, many of us grew up using hockey skates or figure skates for performance reasons, " Jacknife's creative partner Mike Kelar told Dezeen. "Now that we are older and don't skate competitively, we just want a skate that is comfortable, well made and looks good. There really isn't anything on the market that fits those qualities. Recreation ice skates are bulky, poorly constructed and lack style – they seemed to be positioned as cheap beginner skates." Jacknife's skates will be made from full-grain leather, aluminium, stainless steel and titanium. Composite materials and heat-formed memory foam will be used internally for comfort and performance without compromising the aesthetic. The upper will be made using traditional stitching techniques, while the blade will be fashioned using contemporary techniques such as computer numerically controlled (CNC) cutting and co-moulding – a process used to produce elements made from multiple metal components. The intention is for the product to be made in Canada. "The end goal is to create an ice skate that is as beautiful and well made as it is functional, " said Kelar. "We [want to] help spark a new interest in the culture of ice skating and all its benefits for people of all ages, nationalities and genders." "These include exercise, fresh air, spending time with family and friends and reconnecting with nature. We hope that our skates will also help to revive the value of domestically crafted, well-made goods." Previous projects from Jacknife include everything from a new lacing system for snowboarding boots and light reactive skiing googles, to office interiors and technical designs for tablets. Alona & Denys (rock-n-roll) figure skating adagio pair-team.